The fixtures for this years Handicap League have now been published and can be accessed under the "Handicap League 2019" Menu. Remember this year we a trying a slightly different format of 10 games per match where each player plays all 3 opponents in a best of 3 games up to 11 only. Plus 1 game of doubles. 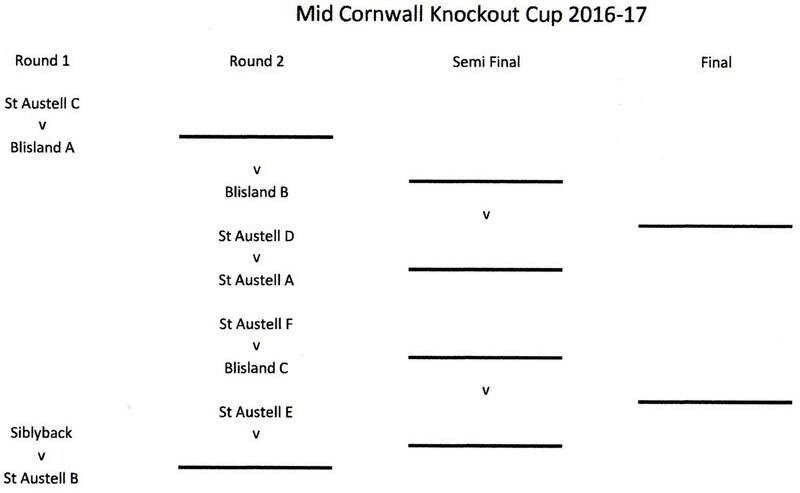 Please note the request to arrange all fixtures where possible for our Juniors playing in the St Austell D team on a Friday evening. Welcome to all prospective players and please note that the season will commence this week 22nd October for Division 1 and next week 29th October for Division 2. We have only 3 teams in Division 1 this year and 4 teams in Division 2. We will run a separate Handicap League this year at the end of the normal league season starting in February 2019. More details to follow in due course. All League Fixtures for both Division One and Two are now live on the web-site. There are some updates to follow with more details of the planned Handicap League later in the season and these will follow in a table format under the Handicap Cup Sub-Menu. Hope you all have a successful and most importantly an enjoyable season.